Tipical Dalmatian stone house, 3 storeys. 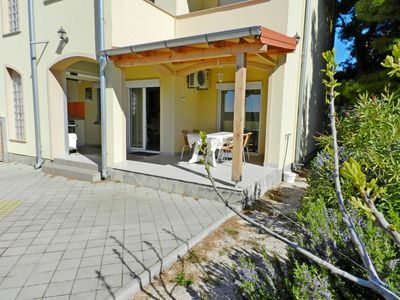 2 km from the center of Makarska, in a quiet, sunny position, 2 km from the sea, 2 km from the beach. 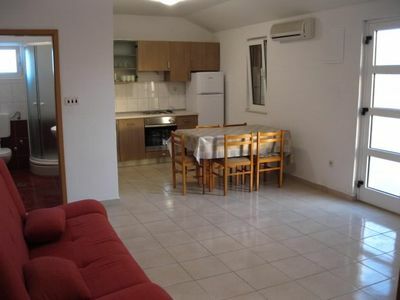 Private: property 170 m2 (fenced). Whirpool garden, terrace (25 m2), garden furniture, barbecue. 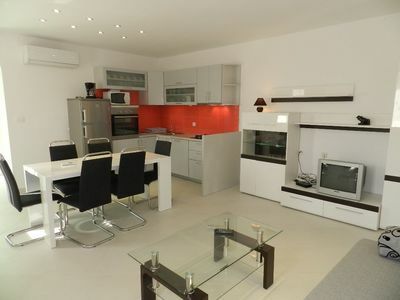 In the house: internet access, fitness room, table football, washing machine. Access to the house (180 m natural path). Parking (for 2 cars) by the house on the property. Shop 1.5 km, restaurant 2 km, pebble beach 3 km. 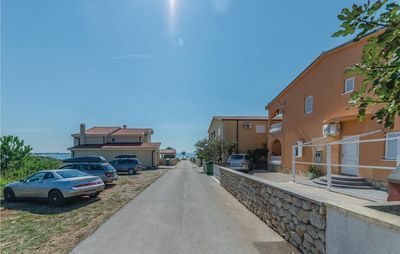 3-room semi-detached house 100 m2 on 3 levels, south-east facing position: living / dining room with 1 sofa bed (160 cm, length 190 cm), satellite-TV (flat screen TV), air-conditioning. 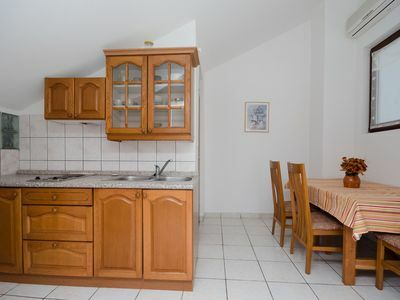 Open kitchen (4 hotplates, oven, dishwasher, freezer). September WC. 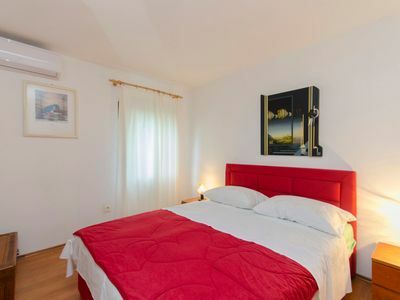 Upstairs: 1 room with 1 french Bed (160 cm, length 200 cm), satellite TV (flat screen), air conditioning. 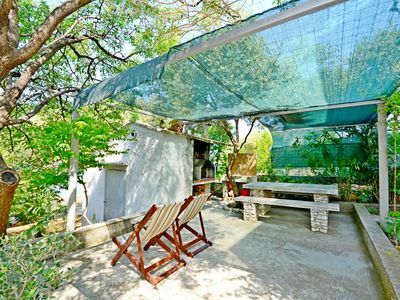 1 room with 2 beds (90 cm, length 200 cm), satellite TV (flat screen), air conditioning. Shower / WC. 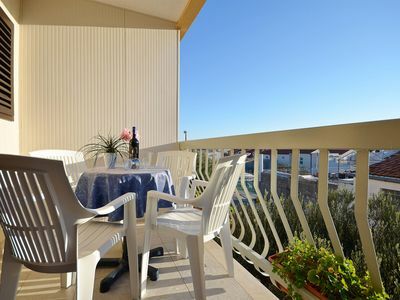 Terrace 35 m2. Terrace furniture. Great view of the sea. Available: Internet (wireless LAN, free). 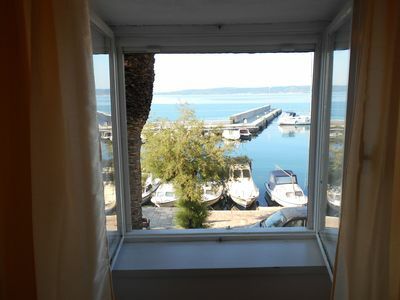 Quiet location and fantastic sea view. 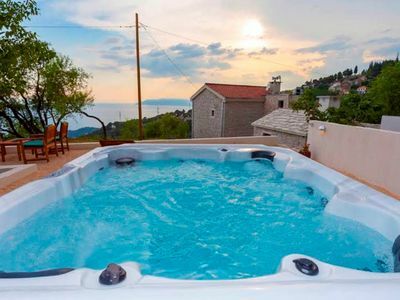 Small gym for relaxation, and beautiful stone barbecue, and terrace with Jacuzzi. From these years we have new whirpool for 4 persons in our garden. 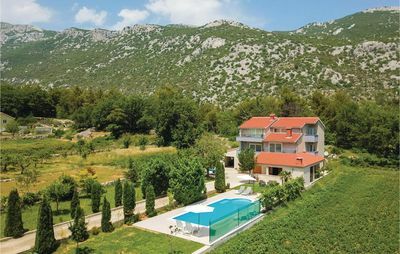 Welcome to village Makar-Paradise on the Makarska Riviera, and you will come again.